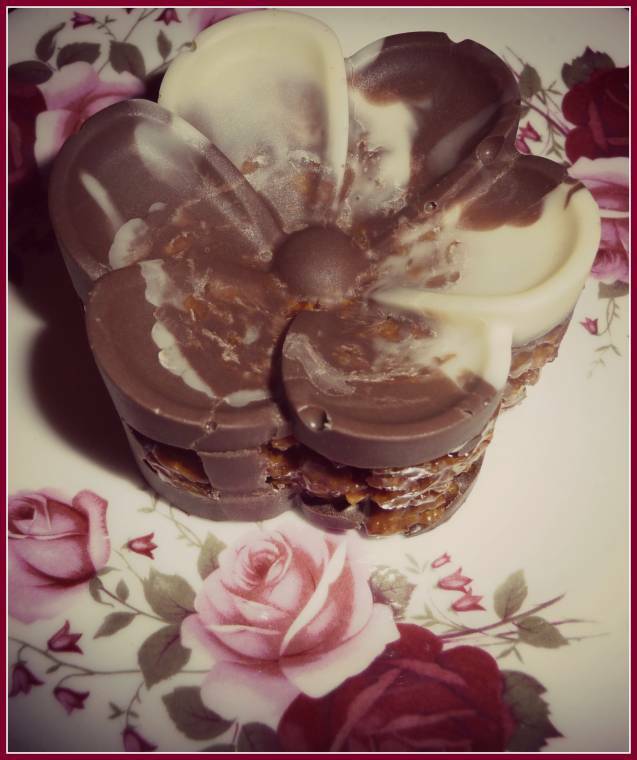 Mars Bar Cornflake Treats: Creative Mondays Blog Hop. Hello friends. 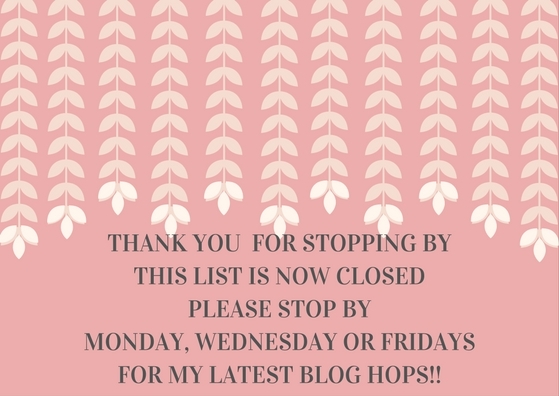 Welcome to this weeks creative Mondays blog hop. Have you been creative this week? Melt the white cooking chocolate in a bowl either in a microwave or in a heat prof bowl over simmering pre boiled water. In another bowl melt the milk chocolate the same way. Place the melted chocolate evenly between the 12 holes silicon tray, mixing the white chocolate and milk chocolate slightly together. Leave to cool whilst preparing the Mars bar mix. Slice the 4 Mars bars into chunks, place with the margarine and golden syrup in a heatproof bowl. Melt over a pan of simmering pre boiled water. Stir the mixture, first as it melts it becomes thin, keep stirring it as it will start to become thicker. When everything is melted and mixed in together, remove from the bowl from the pan and mix in the corn flakes straight away. Crush the cornflakes down slightly with a potato masher. Leave to cool slightly so not to melt the chocolate in the moulds. Spoon the mixture evenly into the 12 holes in the trays on top of the chocolate and with the back of a spoon gentle press down. Melt the dark chocolate and cover the 12 treats. Once cooled place in a fridge for a few hours to set until ready to turn out. When taking them out, turn upside down onto a place a loosen all sides, slowly lift from the middle, if starting to break they may need to cool more. One turned out the bottoms become the tops. What do you think about these Mars Bar Cornflake Treats? "What I Wore : Layering Up …"
Wow! I want some now Clairejustine! :) Beautiful and delicious. It is good to be co-hosting again. Enjoy the rest of your day. Oh I love the chocolate flower on a plate with flowers on it too, very nice. Oh these look not only pretty but delicious. This recipe looks delicious. I just stumbled across your blog and love it. I joined your linky and am following. Happy New Year. Thank you so much for hosting!Wishing you a Very Happy New Year!! My first time to enter here thanks for hosting!